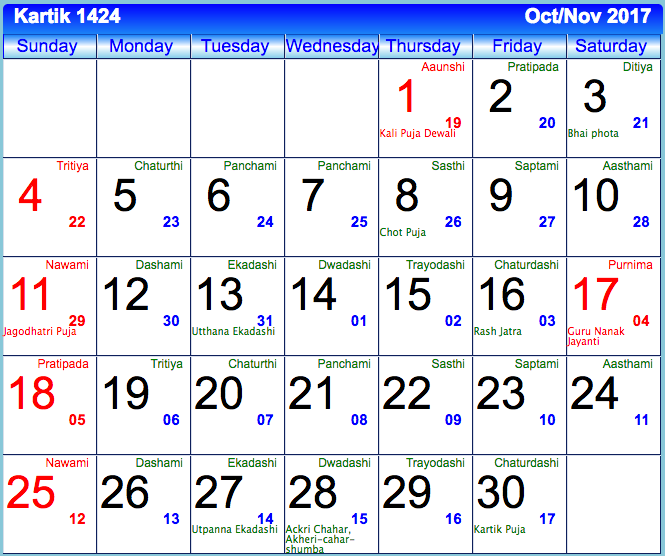 Bengali Calendar is also known the Bangla Calendar or Bong Calendar. 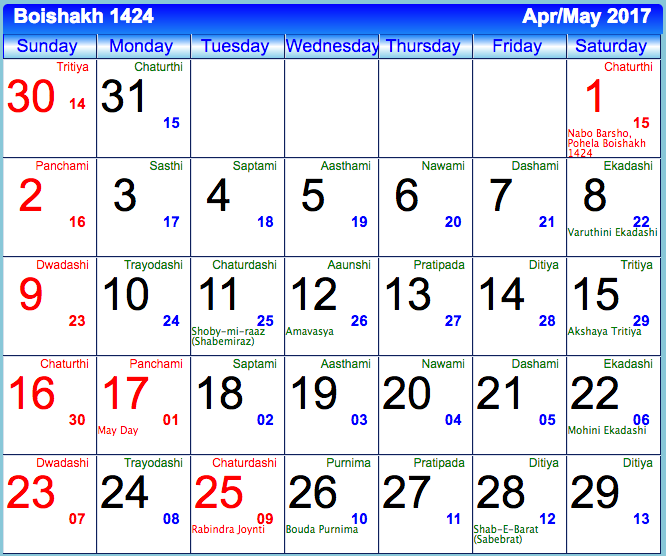 The current Bengali Year is Bengali calendar 1424 BS or Bengali Sambat. 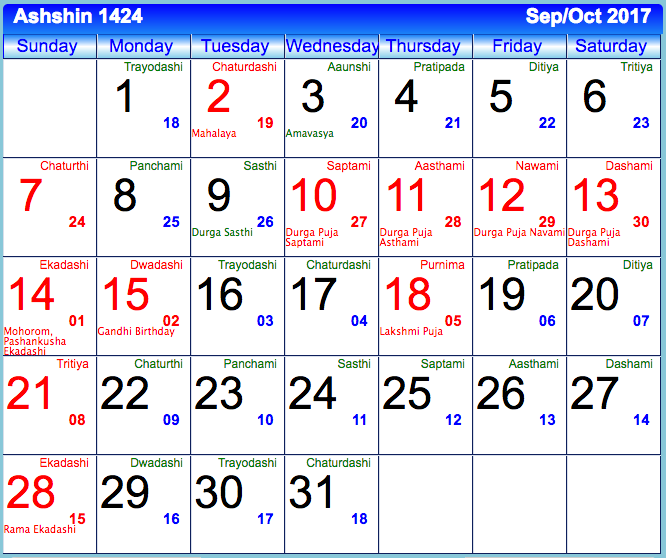 Bengali Calendar is based on Solar Calendar. 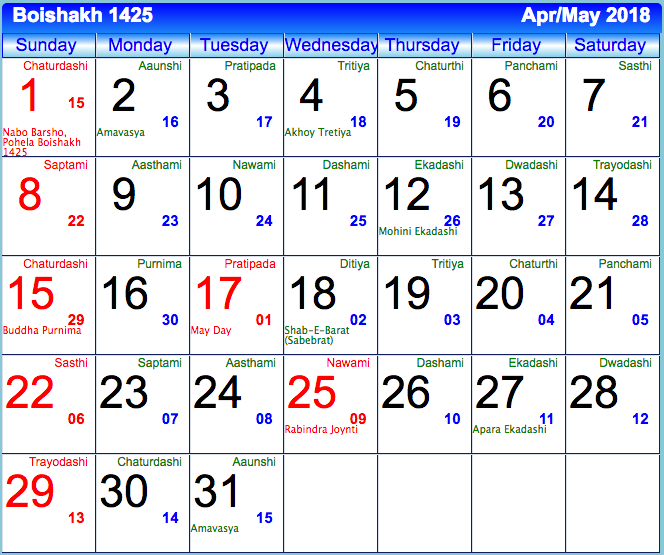 There are two types of Bengali Calendar. 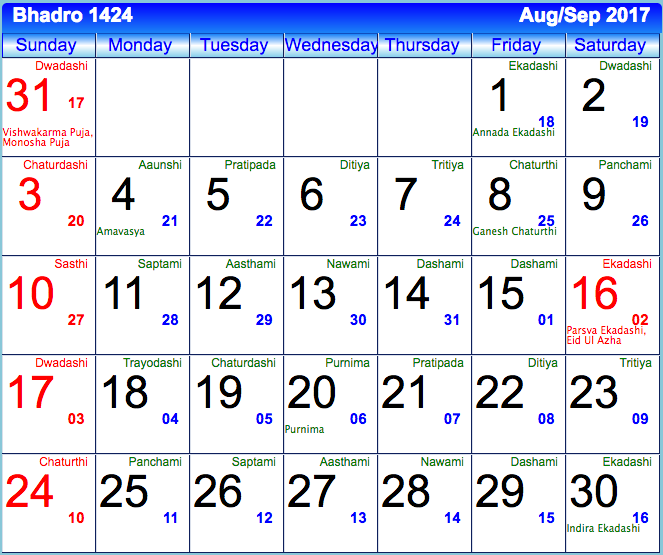 One used as an Offical Calendar in Bangladesh and another used in Indian states of West bengal, Tripura and Assam. 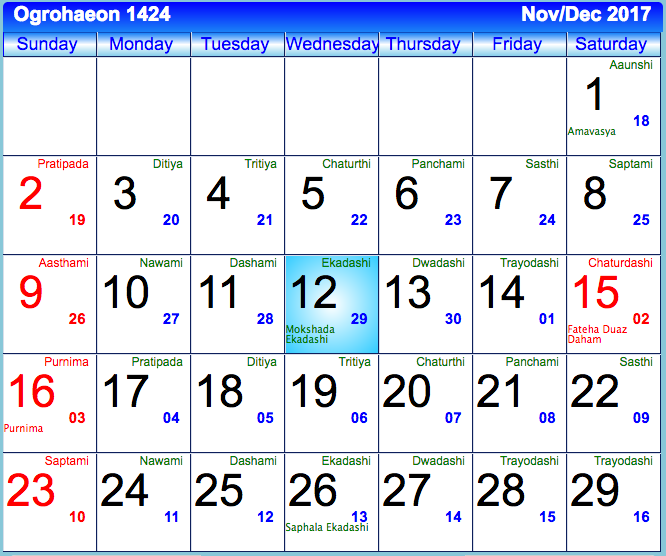 The New Year of Bangladesh is called Poyla Boishakh. 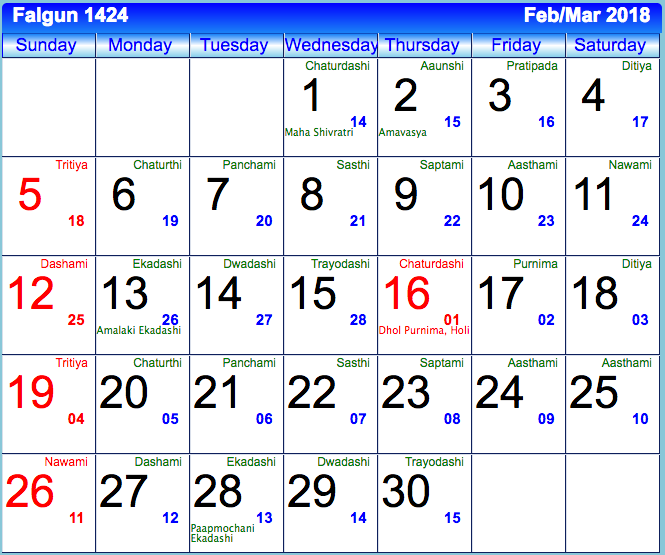 Poyla means first. 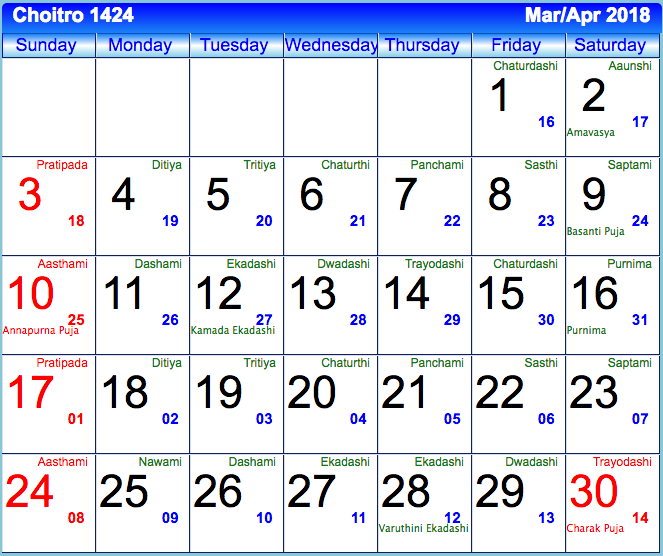 In Bengla Calendar the new year starts from the middle of april (approximately 15th of the april). 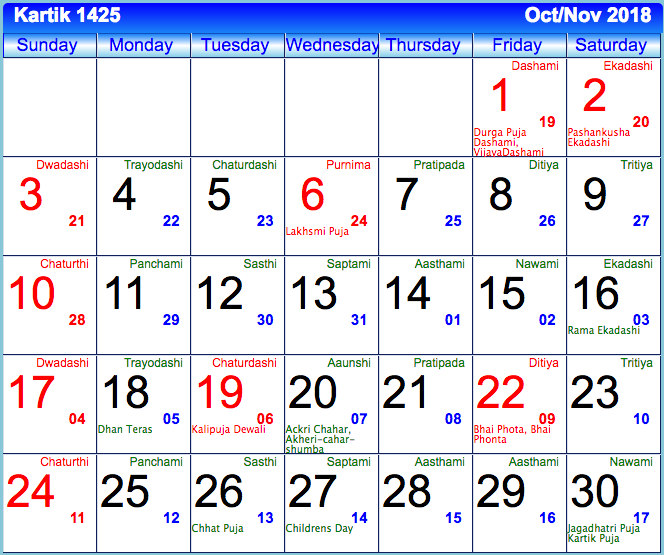 Bengali Calendar is also called as Bengali Ponjika or Bangla Panjika. 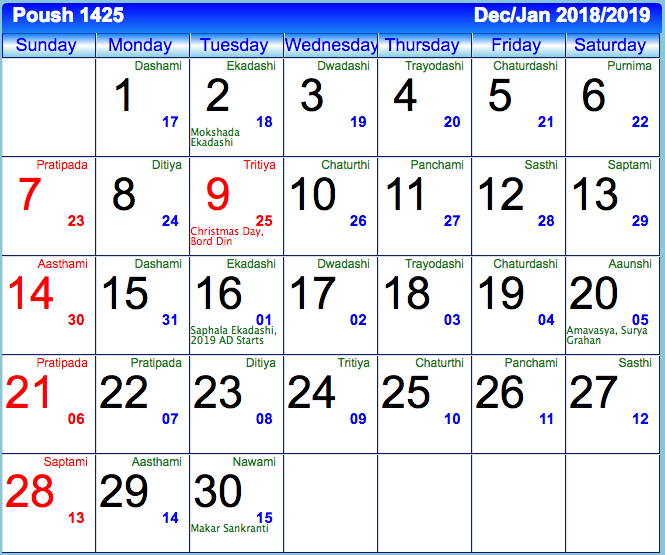 BengaliCalendar.com offers Bengali Calendar with Monthly Bengali Calendar for Kolkata, West Bengal, India. 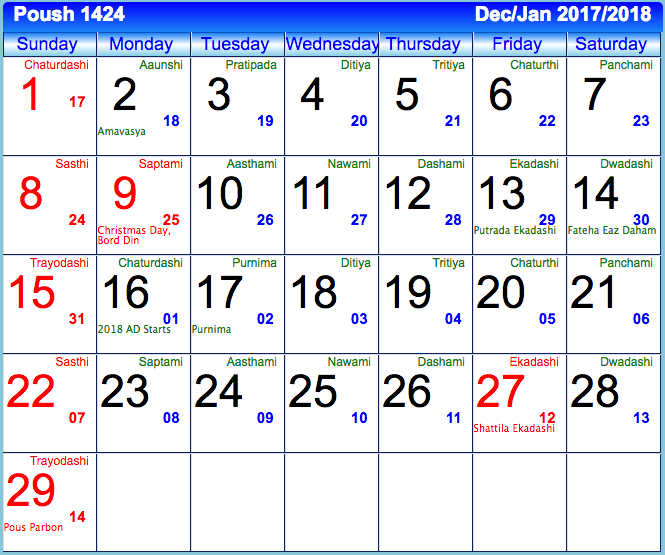 It includes Jagadhatri Puja, Rash Yatra Jatra, Guru Nanak Birth tithi, Chelam, akheri-cahar-shumba, Ekadashi, Dadashi, Amabashya, Purnima, Events, Festivals, Holidays and other events for the current year 1424 and upcoming year 1425. 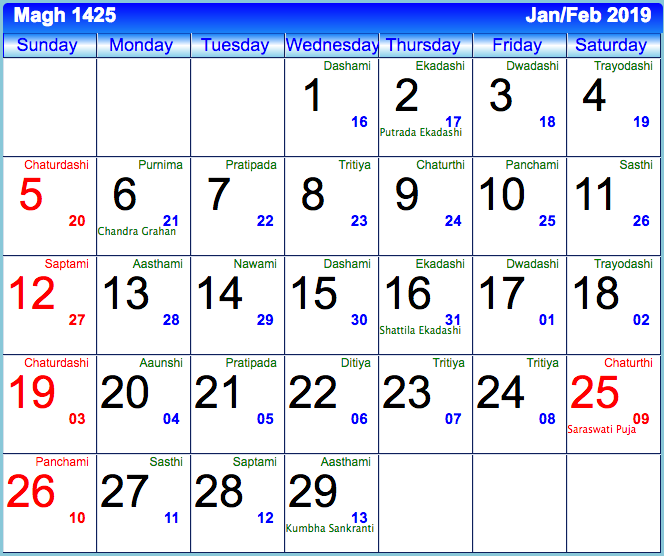 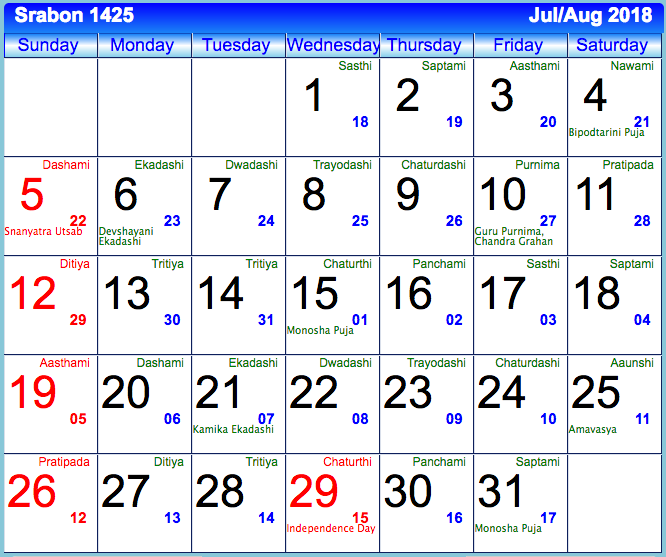 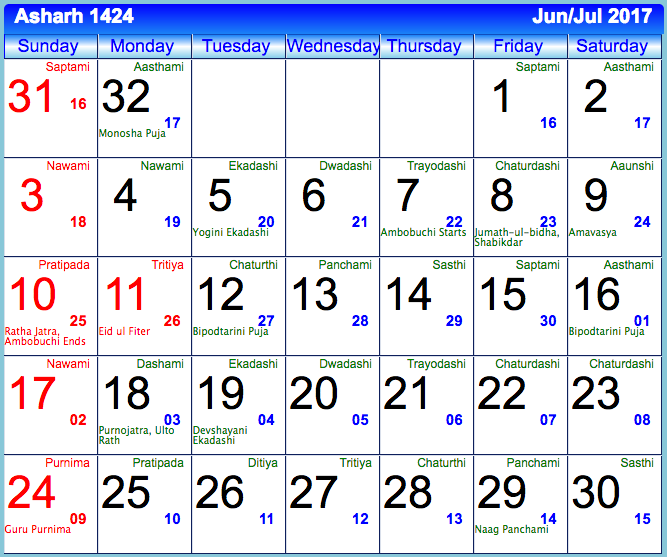 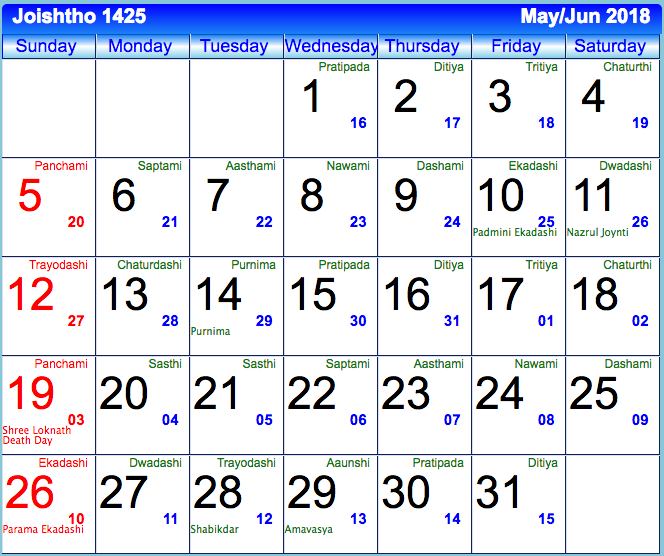 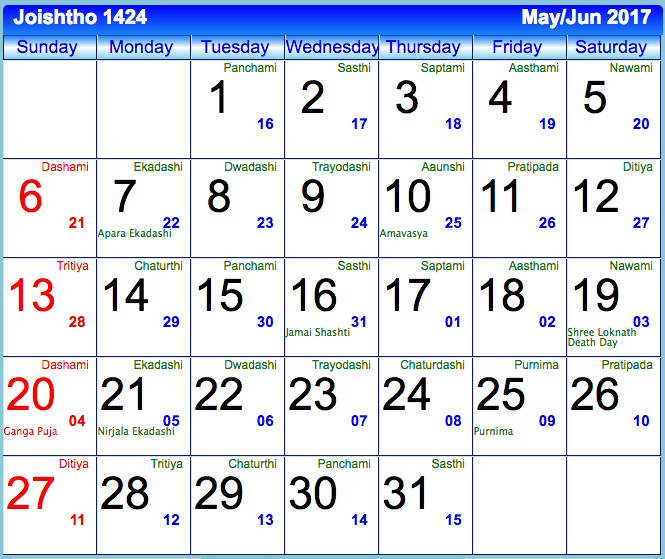 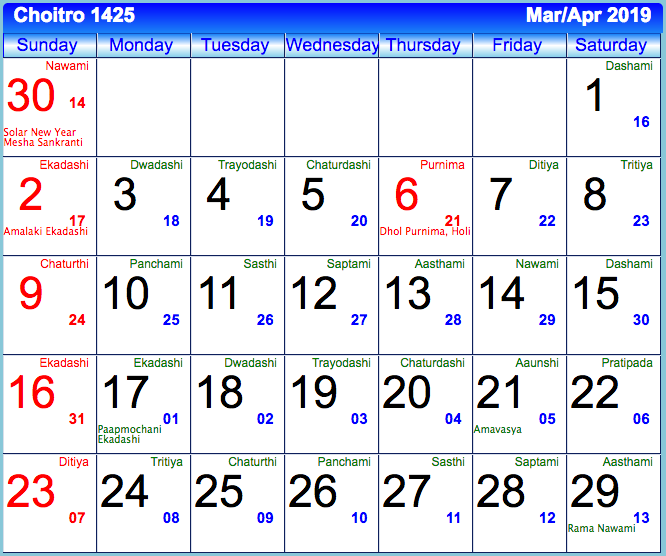 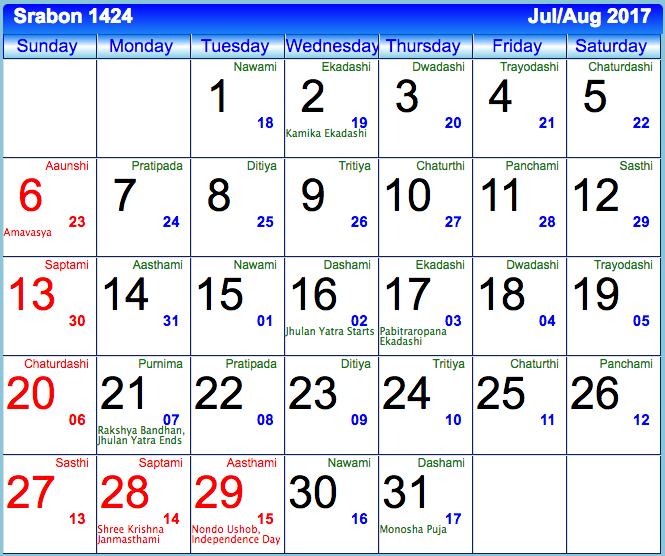 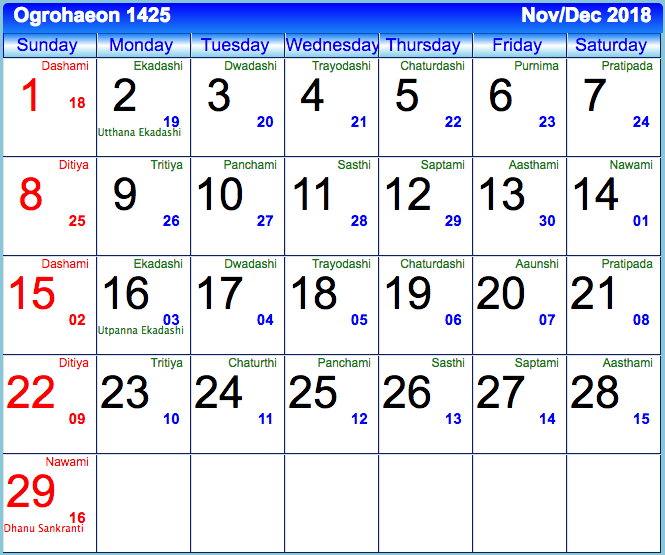 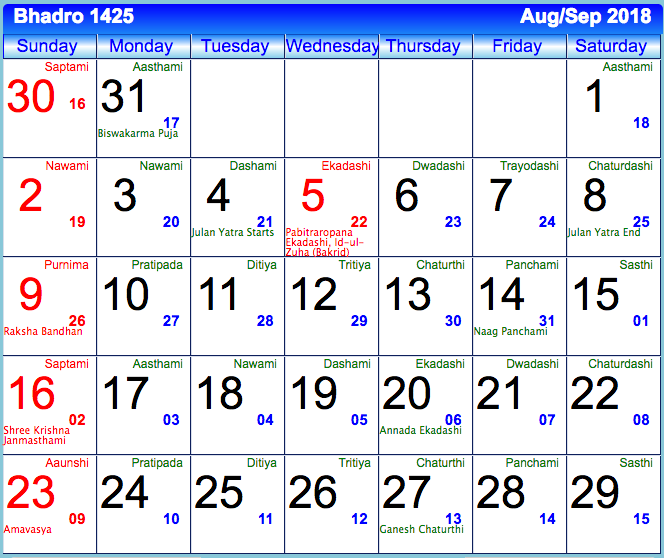 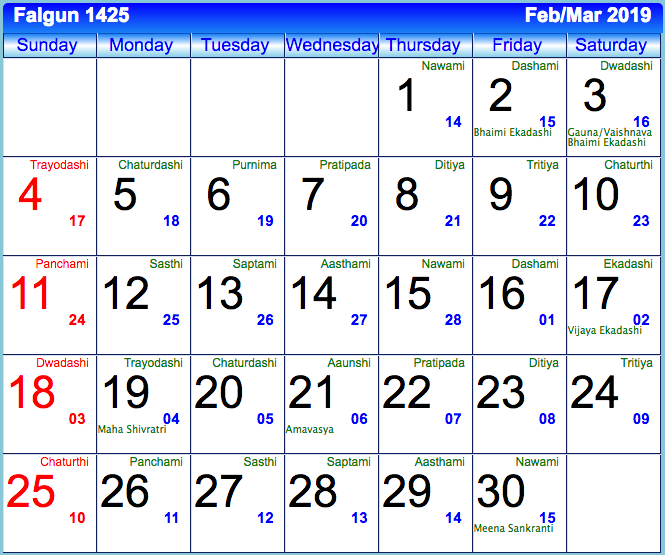 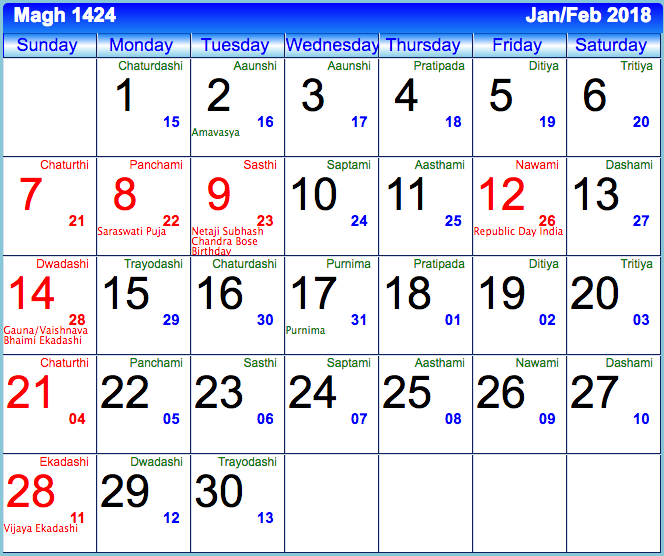 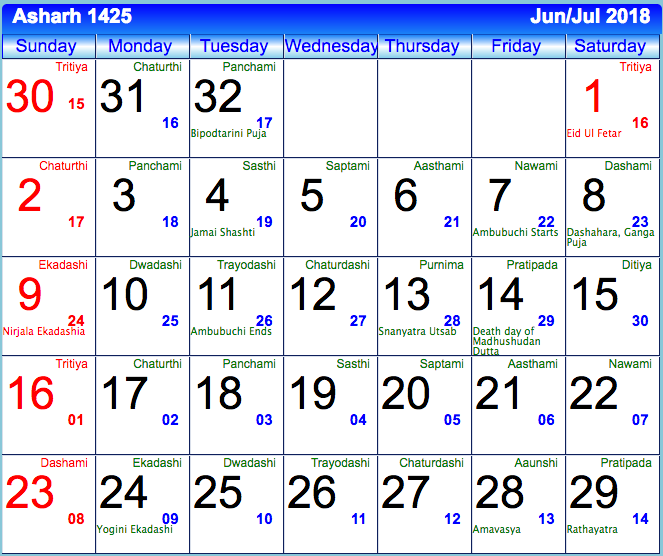 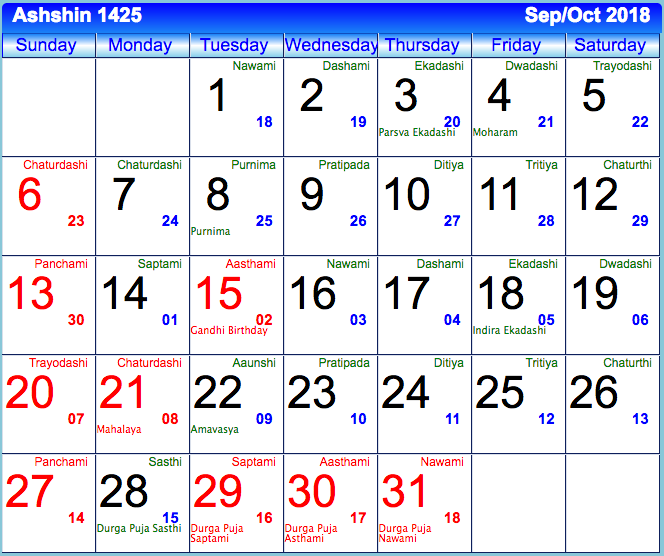 The next Bengali Year is Bengali Calendar 1425.